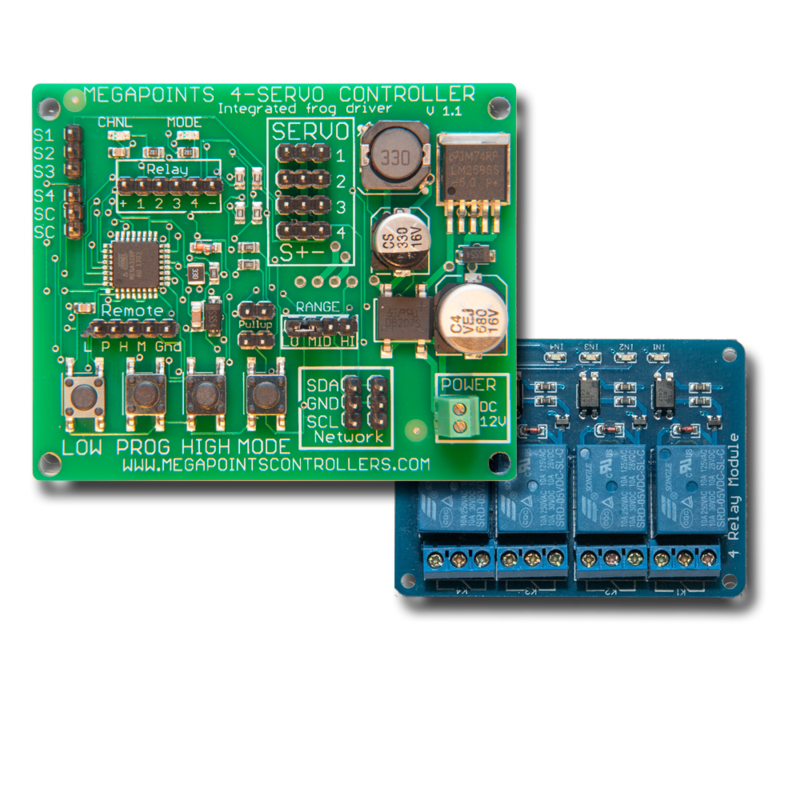 Control up to six Stall or Kato turnout motors with this board. 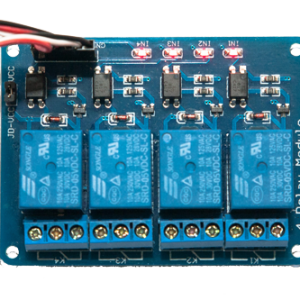 This board has user changeable modes for stall or Kato turnouts. When in stall motor mode it is capable of driving up to six Tortoise™, Uhlenbrock or Cobalt type motors that are either designed to stall or switch off when the travel is completed. 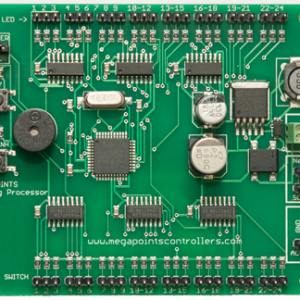 Our driver board intelligently cuts the power to the device after 5 seconds of movement. 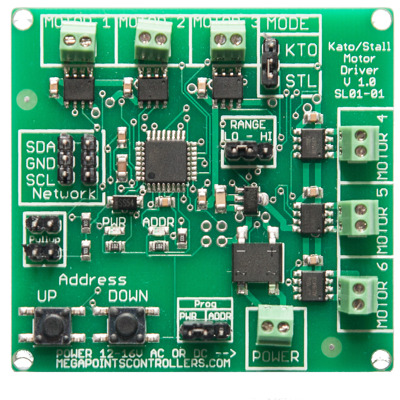 In Kato mode the board can drive up to six Kato points by connecting to the six output terminals. 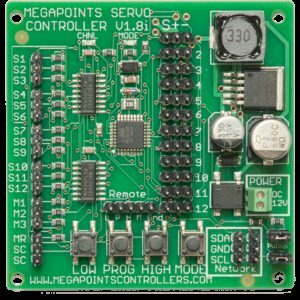 It will intelligently move one turnout at a time in rapid succession – even if all six are requested to change thereby lowering the power requirements to the board. 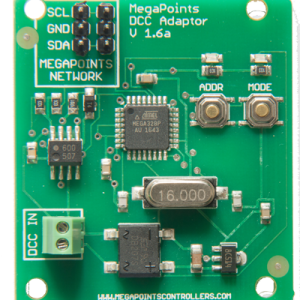 The board should be powered by a 12 volt power supply minimum 1 Amp for Kato mode and minimum 500mA for stall mode. 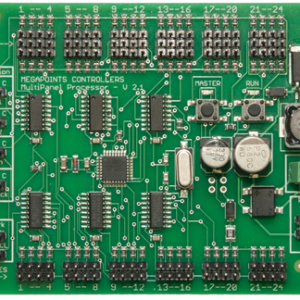 The stall/Kato driver board can be controlled directly from our optional DCC decoder, a mimic panel (our MultiPanel processor) or indirectly via our route processor for automatic route selection and is equally at home on analogue (DC) or digital (DCC) installations.